Santiago, Chile- Welcome to the 1 Bitcoin Show! Remember fiat price volatility in BTC? It will return. Tether panic reminds us all not to value our wealth in dollars and trade. Forbes Middle East puts a guy who lied about his relationship to Monero on its cover. Nice fact check. "If you don't trust your government, the value prop of bitcoin becomes extremely obvious." Patience! Much more! Gym piper- BitcoinMeister spoof show- ICO Meister! TechBalt.com has every This Week In Bitcoin show! Bitcoin people you need to know! Email the Disrupt Meister intern- [email protected] and tell us why you want to be an intern! 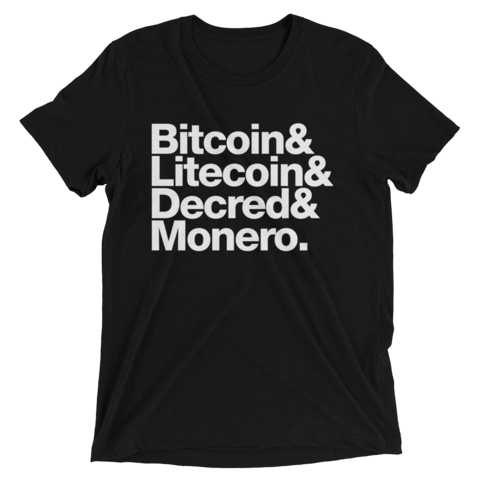 Buy Cryptograffiti shirts here and use the "Meister" discount code to get 10% off anything in the store!